Two well known authors in the urban fantasy and paranormal romance world are coming out with new series in the near future. First there is Larissa Ione. I love her. Her stories are top notch and her world building is incredible. She is writing a new series called MoonBound Clan Vampire and it is not going to be set in her Underworld General world! 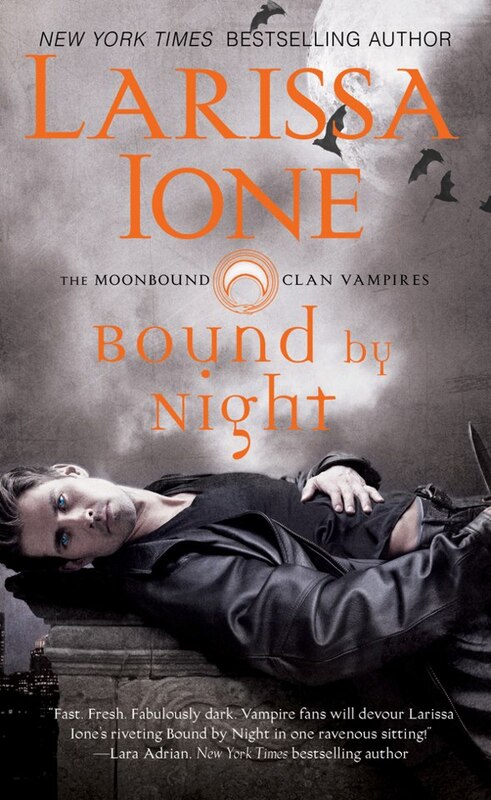 The first book, Bound by Night, will release on September 24th 2013 and I will definitely be picking it up as soon as it hits shelves. Sounds SOOOO good! As I mentioned, book one will release in September 2013 and the second book, Chained by Night, is due out June 1st 2014. Next is a new series by the funny and talented Jaye Wells. She is another author who is always unique and interesting in her writing. Her new series is called the Prospero’s War and the first book, Dirty Magic, is due to release in January 2014. No blurb yet but the cover is cool and I’ve added what Jaye had to say about the series for the cover reveal on Bookish. “It was incredibly fun to combine the grittier, hard-boiled elements of crime fiction with a fantasy-based criminal underworld run by wizards. Even though these books will be marketed as Urban Fantasy, I like to think of them as speculative crime fiction or cops-and-wizards novels. Kate Prospero is a new breed of Urban Fantasy heroine. She doesn’t shoot first and ask questions later. She’s far too jaded by the system to go off into a rage. Even though she was born an Adept, she walked away from magic years ago, so she’s got to rely on her wits and her training to navigate the War on Dirty Magic. Still, her past with the dirty magic covens will definitely complicate the hell out of her cases. The world was a blast to create. Babylon, Ohio is a dying rust belt town, and within the city is a magical slum called The Cauldron. The setting is definitely its own character and is filled with covens of wizards, magical informants and potion junkies. Unlike my Sabina Kane books, which should be read in order, I’ve planned this series to be more episodic in nature. Each book will feature standalone crimes to solve but with character relationship arcs that carry over from book to book. Happy Weekend and Happy Easter to those of you who celebrate! 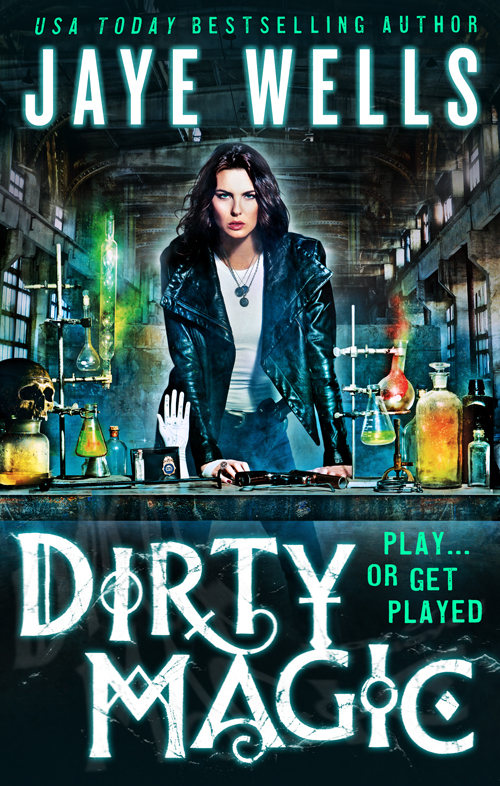 Share the post "News – Two New Series To Look Forward To"
Dirty magic sounds amazing! Can’t wait 🙂 thanks for sharing! I really want to read the Jaye Wells series! Love the sound of Jaye Wells new one!